The men, each in his own way striving to better himself and heal, died in a tragic car crash March 11 in Westbrook. Kristen Stone’s world crumbled in a 23-second phone call from her husband. Joshua Stone, 33, had been first out the door that morning. They had already kissed each other goodbye and said, “I love you.” When Kristen’s phone rang at 6:47 a.m. and she saw that it was Joshua calling, she figured he was reminding her to walk their daughter down their long, icy driveway to the bus stop. But when she picked up, she heard garbled sounds. “He yelled something, and the phone cut out,” she said. An hour later, one policeman and then another was at her doorstep, there to tell her the unthinkable: Stone was one of three men killed that morning in a horrific, head-on car crash on County Road in Westbrook shortly before 7 a.m. on March 11. Stone died alongside a new friend, Gregory Harriman, 50, of Sebago. They were passengers in a taxi being driven by Hassan Idris Ali, 39. All three were pronounced dead at the scene. Although police continue to investigate, preliminary reports indicate that Ali was approaching a blind crest in the roadway when he lost control on black ice and crossed the centerline. His 2009 Toyota Camry slid sideways, and a 2014 Nissan Frontier pickup slammed into it. The driver of the pickup, Lisa Libby, 60, of Hollis, suffered severe injuries and was hospitalized but survived. Stone and Harriman had been acquainted only a few months, and Ali was unknown to his passengers. But interviews with family and people who knew the men reveal them as people striving to better themselves, to provide better lives for their families and to heal. Although Harriman and Stone came from different generations, they were connected by their shared experience in recovery. They met sharing taxi rides to Discovery House in South Portland, where both had been undergoing methadone replacement therapy for years, their families said. Their cabdriver, Ali, was born in Djibouti but fled the East African nation three years ago and came to the United States seeking political asylum, said Jama Mohamed, director of family services for Maine Immigrant and Refugee Services in Lewiston. He had a wife and a 2-year-old girl who was born in Maine, Mohamed said. The Djiboutian community is mourning Hassan Ali’s loss, and his family declined to speak about him with a reporter, said Hawa Ali, 25, of Lewiston, who spoke on behalf of the community. From the time he was a boy, Gregory Harriman was a hell-raiser. Harriman’s older brother, Jeffrey, 52, recalled in his eulogy how, one day as a first-grader, Greg disassembled a pencil, pulled off the eraser, and jammed the pink rubber nub in his nose. No one could get the thing out, so off to the emergency room he went. Another time during a family wedding in the 1970s, before Greg was 10, he was caught pilfering drinks, and became so intoxicated he slept for two days straight, his brother said. His antics led to frequent and early brushes with the law, his brother said. In one instance, although Greg was not yet old enough to drive, he and some friends commandeered a state police cruiser and put it through its paces, Jeffrey wrote in the eulogy. Greg always loved fast cars and motorcycles, and worked doing auto body and car repair as an adult. But from the time he was a teenager, his rebellious streak began to cost him his freedom, and he spent years in and out of jail and prison. Alcohol and drug use were often the precursor to his stints behind bars, and his trouble with the law spanned from his teenage years into his 30s, his brother said. To outsiders, Greg presented a tough exterior, someone who was not to be messed with, his brother said. Jeffrey said his brother’s time in prison was a defining experience – a badge of honor and toughness. But the experience also left him embittered. Underneath the armor, he had a soft spot for animals. 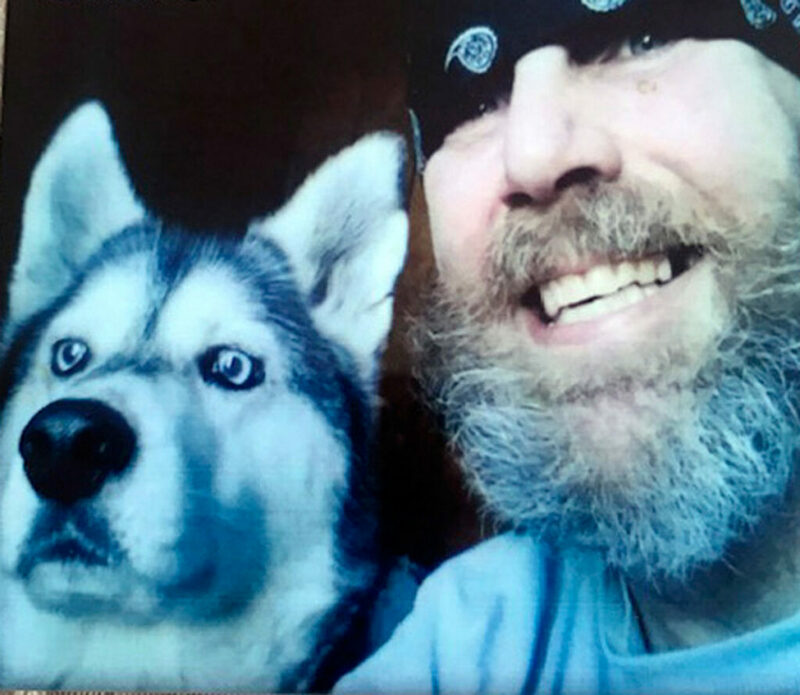 He raised a husky named Skimo from a pup, and when he had to put the dog down recently it shattered him, his brother said. Greg couldn’t talk about his departed sidekick without excusing himself from the room. By the time he reached his 40s and 50s, Greg’s lifestyle seemed to slow down. But reminders of his drug use lingered. Jeffrey said his brother had been on methadone for as long as he could remember. Greg always said the doses were coming down over time, but the amount never seemed to zero out. Before he died, Harriman had carved out a lifestyle that was light on commitments, but it was one he preferred. Some nights he slept at a friend’s house. Other times he crashed with his brother. He lived his life as he chose. “Greg never put down a root,” Jeffrey Harriman said. Joshua Stone, 33, met Harriman in a taxi. Both men took early morning rides from their respective homes – Harriman from Sebago, Stone from Gorham – to Discovery House in South Portland to get their daily dose of methadone. Stone was born in Pittsfield, Massachusetts, but moved to Maine as a boy and graduated from Portland High School in 2004. As a teenager, Stone was quick to look for odd jobs and to earn his own money, said his mother, Deb Knight, 52, of Westbrook. When Stone was 17 and working on the docking crew for the Scotia Prince ferry, he severed the tips of two fingers in an accident. As he recuperated, doctors prescribed him strong painkillers. It was his introduction to opiates. He quickly developed an addiction, and by the time he was 19 he started the first of his multiple stints in recovery, Knight said. His drug use led to brushes with the law that culminated in a conviction for a strong-arm robbery, for forcefully taking prescription medication from someone, his mother said. He served less than a year in jail, and entered a residential recovery program as part of his release, his mother said. It was a wake-up call. “I think it gave him an appreciation for his family and home and just basically that he never wanted to go back,” Knight said. That year he began attending addiction meetings and applying his lifelong work ethic to staying healthy and clean of drugs, and it began to pay off. It was also the year Stone met his wife. Kristen said she immediately thought Stone was adorable and that his singing voice was beautiful. And that he was funny. Their relationship soon grew serious. Two months after they met, the couple moved in together in an apartment in South Portland. Stone had a daughter from a previous relationship, Lily, now 12, and he relished his role as a father, Kristen said. The couple had their first child together in 2013, another girl, Arianna, now 5. They had another daughter, Kinsley, in 2016. When the midnight wails came from the baby’s room, Josh was the first out of bed. In 2013, when Kristen was pregnant with Arianna, Stone proposed on Valentine’s Day. Kristen said yes, and after a long engagement they married in October 2018. It was a piece of paper to them – they had been committed to each other for years – but Joshua was proud that they shared a last name with each other and their daughters. All the while, Stone was working to stay in recovery and make progress, his wife and mother said. They had ups and downs, but Stone was committed to his children, his mother said. “He worked really, really hard at it. His kids meant absolutely everything,” said his mother, who said Stone’s children were his greatest achievement. As a father, Stone excelled at the immeasurable things that made his relationship with his children special. He brushed hair. He painted nails. He had tea parties and sang silly songs and made up elaborate secret handshakes. The only part of parenting where he struggled was discipline, his wife said, smiling. His mother saw it the same way. 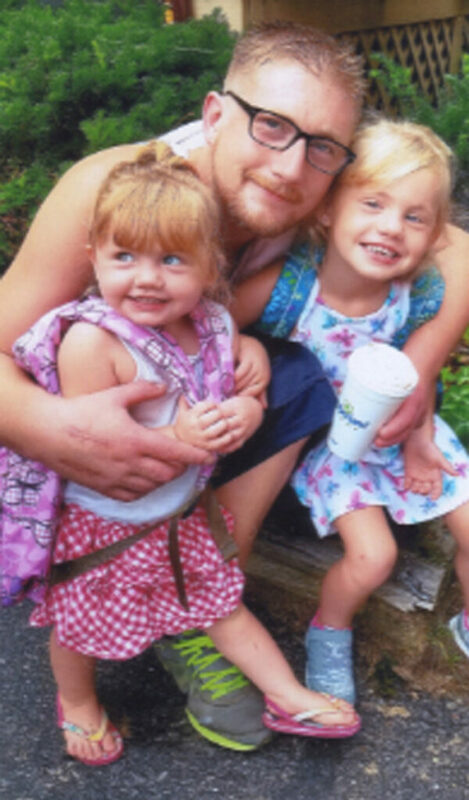 “He was a daddy to three little girls, and each had him wrapped around their little fingers,” Knight said. Before he died, the couple had been making plans. Plans to buy a house, and to save for a trip to Florida to take their kids to Disney World. And they planned to take a brief getaway alone together to New Hampshire this summer, so Kristen Stone could go to her first concert. Their partnership was just beginning. Kristen said the last weeks have been a blur. Her youngest daughter, Kinsley, is still too small to fully understand what happened. “She asked me, ‘When is Daddy coming home?’ ” Stone said. Her older daughter responded that Daddy was in heaven now. “I was very proud to have him as a husband and the father of my children,” she said.